Here at VW Kampers Ltd, we love the VW Brazilian motor home so much that we named our entire business after it. If that isn’t a sign of our dedication to these fantastic, iconic vehicles, then what is!? 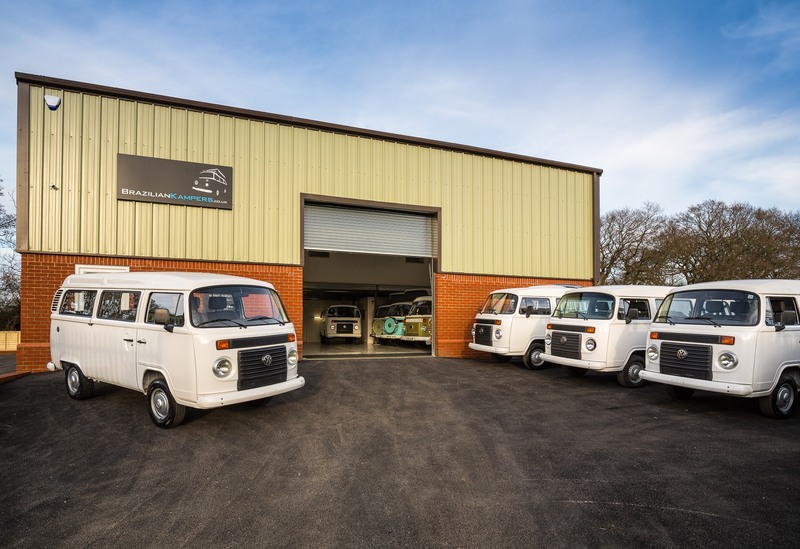 In the five short, yet exciting, years that we’ve been up and running; BrazillianKampers have managed to become the South of England’s most popular and sought after retailer for used Brazilian motor homes. Don’t mistake this feat for luck; rather our family run, passionate company’s promise of excellence for all customers. The reason we put so much hard work into our Brazilian camper van service and garage is because we once stood where you stand; looking for someone professional and with enough Brazilian camper van knowledge to offer a truly significant service. Unfortunately, for years, this service was completely lacking and so we figured it was time step up to the plate and take on the task. With us, it’s not simply a choice of purchasing one of our high quality used Brazilian campers and then never hearing from us again. We offer a huge range of after sales services and maintenance procedures, as well as operating as a fully functioning garage for any lucky Brazilian motor home owners already out there! Complete, professional and legal vehicle services with all industry-standard examinations. Professional and stylish interior work to turn a Brazilian motor home into your Brazilian motor home. Complete roof conversions to offer that classic Brazilian camper pop-top roof style. Fully body re-sprays or touch-up jobs for faded, damaged or uninspired paint jobs. Many more top-tier professional services. For the best in modern Brazilian camper upkeep, maintenance or retailing, you need to think VW Kampers Ltd.
For some of the cynics amongst you (and rightly so; we all want the best of the best for our beloved Brazilian motor homes); you might be wondering if this is all talk from us. Well, feel free to journey over to our testimonials page where you’ll find plenty of evidence from past customers to vouch for our hugely popular, professional Brazilian camper services. Paul and Wendy’s story could easily become your story, by taking a quick look through our list of high quality used Brazilian camper stock, or by phoning in for some advice. Whatever your camper van issue is, we’re on hand to solve it! Perhaps you’re looking to sell off your old Brazilian camper? No worries; just take a quick journey over to our ‘Want to Sell’ page and start off proceedings.